peek >> << backThe south side of M Street east of 13th, October 2003. A massing drawing showing the design for all phases of 1333 M Street, revamped in 2013 as a project with three residential buildings just northwest of the Anacostia River. 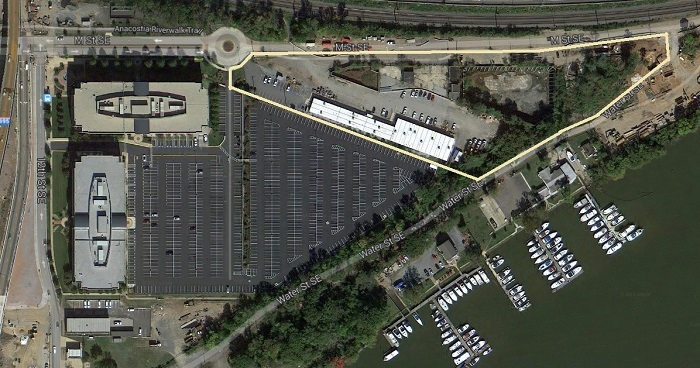 A satellite view of the 1333 M footprint, with Maritime Plaza at left and Boathouse Row below, with M Street running along top. An August 2014 rendering showing the Phase I building as seen from M Street, looking west. 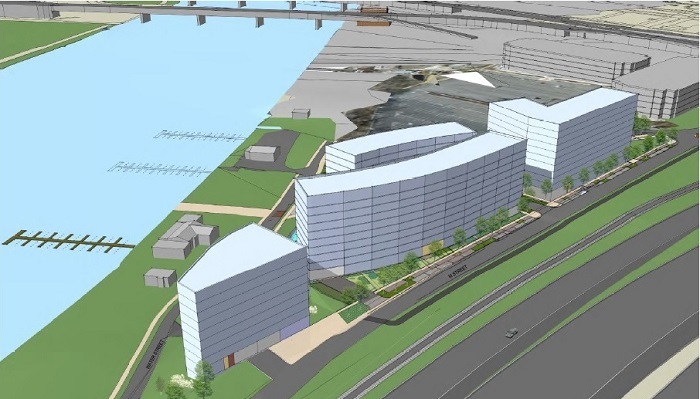 Another August 2014 rendering of the Phase I building, as seen from the Anacostia River, giving a better view of the rise from the riverside to the building.